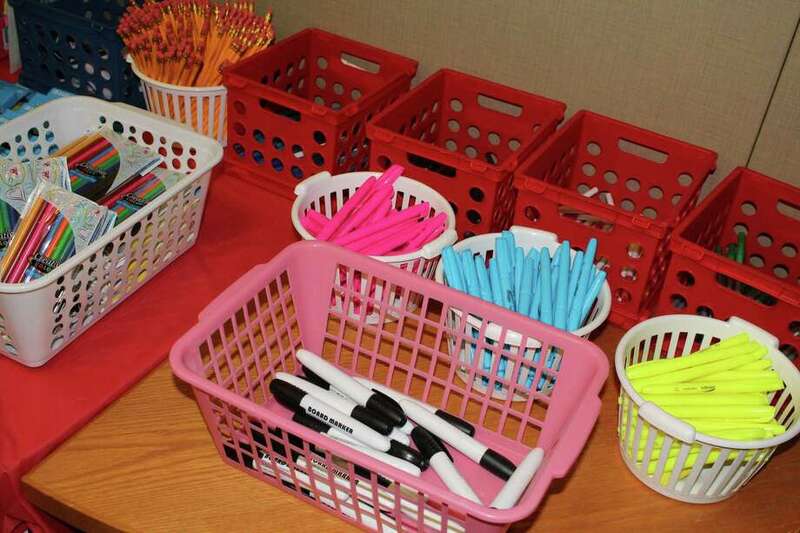 Markers, Highlighters and pencils being given away at the back to school drive. Taken Aug. 13. DARIEN — With school starting in a few weeks, Darien Human Services’ annual Back-to-School Supplies Drive has officially started. “Last year, we had about 130 children,” Human Services Director Alexandra Ramsteck said. The number of children assisted this year looks to remain the same, she said. The program has been running for more than 10 years and is for Darien residents only. The program is also for kids ranging from kindergarteners to seniors in high school. Kids are also given any school supplies they may need. The Department of Human Services collects items for the drive based on supplies listed on schools’ websites. The program is available free of charge to eligible Darien children. Families that need help purchasing supplies but are unsure if they are eligible can contact the Department of Human Services. Human Services also works closely with schools throughout the year to find families that are eligible. “Sometimes they refer families to us,” Ramsteck said. Donations for the school drive are received from members of the community as well as local schools, Ramsteck said. Tokeneke Elementary school donated supplies again this year, and Ox Ridge Elementary and Hindley Elementary school both donated for the first time this year. At the end of the school year, the three schools allow kids to order school supplies prepackaged for the fall. This year, all three offered an option to donate to the Back-to-School program. Usually the program is supplied through gifts and donations, but the department also has program money if necessary to purchase supplies. This year, the Darien Sports Shop also donated clothes for the program. Children will be able to pick out new clothes in addition to the supplies for their classrooms. Gina Zangrillo, president of the Darien Sports Shop, said she learned how much Darien’s Human Services does for local families through a friend. The Back-to-School program will accept donations until the first day of school (Aug. 30), and the program will run until Aug. 31.